All of a sudden, the NFC North Division of the NFL is up for grabs. 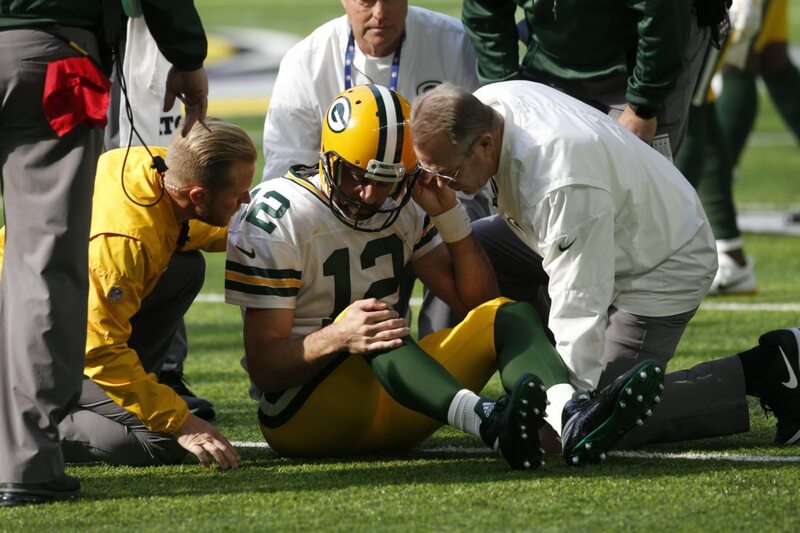 That came about when Green Bay Packers All-Pro quarterback Aaron Rodgers went down with a probable season-ending injury Sunday against the Minnesota Vikings. That’s how important Rodgers — and his uncanny ability to make big plays — is to the Packers. Some Green Bay fans think that backup quarterback Brett Hundley can cobble enough wins to get his team into the playoffs. Much like backup Matt Flynn did the last time Rodgers was hurt a few years ago. Hundley doesn’t have the all-around ability to pull a team up by the stirrups. His uneven play and three interceptions against the Vikings last week showed that. Flynn, who earned big free agency bucks after his impromptu heroics in 2009, never developed into a consistent QB in two stops afterward. Hundley is not the second coming of that other Brett Green Bay fans remember, either. One other thing to consider is that the Packers also have lost several key members of the offensive line to injuries. Without a consistent line, even Rodgers would have struggled. The rest of the division has similar problems, including the now favored Vikings. Sure, Minnesota has three QBs on its roster. But the brittle Teddy Bridgewater is bound to be rusty after a long layoff. Their most experienced signal-caller is Sam Bradford, who also tends to be injury prone. That leaves Case Keenum, who has played decently in his few starts. Stafford suffers from a woeful lack of protection, and it’s only a matter of time before he goes down with an injury. His backup is former Michigan star Jake Rudock, who has never thrown a pass in a regular NFL game. Even the woeful Chicago Bears are licking their chops in anticipation of facing Green Bay without Rodgers. But they also have a rookie quarterback this season. This division could now be won by a team with an 8-8 record.